Grid computing is about allocating distributed collections of resources including computers, storage systems, networks and instruments to form a coherent system devoted to a “virtual organization” of users who share a common interest in solving a complex problem or building an efficient agile enterprise. Service oriented architectures have emerged as the standard way to build Grids. This paper provides a brief look at the Open Grid Service Architecture, a standard being proposed by the Global Grid Forum, which provides the foundational concepts of most Grid systems. Above this Grid foundation is a layer of application-oriented services that are managed by workflow tools and “science gateway” portals that provide users transparent access to the applications that use the resources of a Grid. 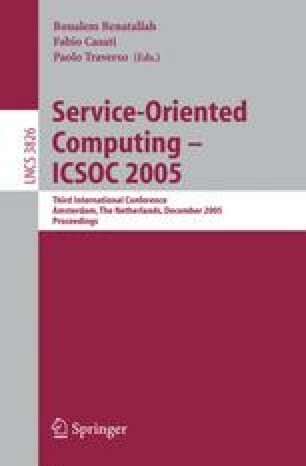 In this paper we will also describe these Gateway framework services and discuss how they relate to and use Grid services.